Kang was to be the big baddie of the first group. If you're gonna go bad, you gotta go klingon. 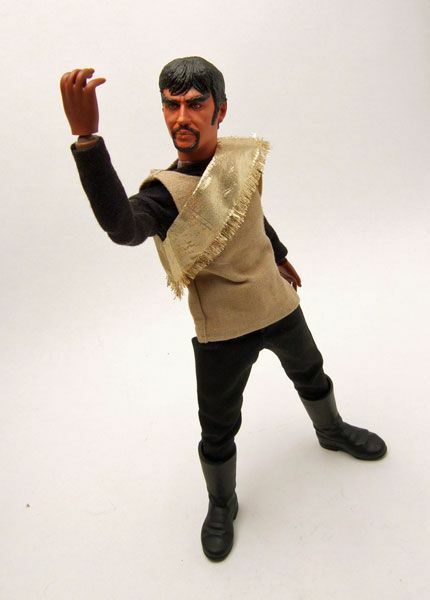 While Kor has always been my fav classic klingon, I do still love Kang and I'd have been happy to buy him. I think all the SFM heads are great, but man... Kang is awesome! The hair and eyebrows are especially nice. I'm also a fan of the slight smirk on Kang's face; I can almost hear him saying "We have no devil Kirk...". 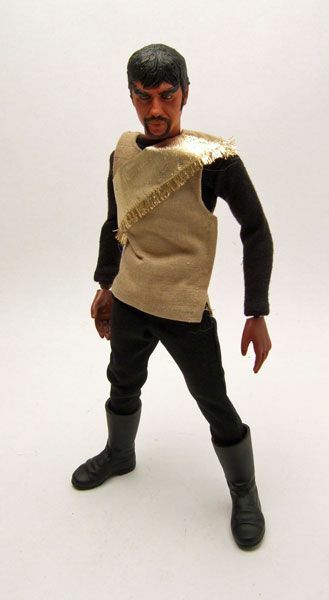 Kang has the same 12" buck body used on the other Sci-Fi Metropolis figures, excepted this time molded in brown. The legs and arms both extend to make taller characters tower over the shorter ones. Obviously, Kang gets the extended treatment. 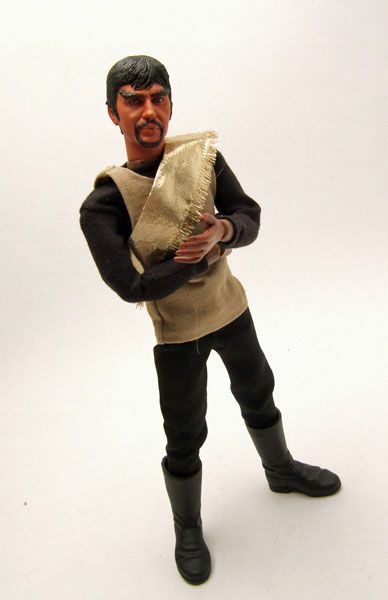 He's garbed in the traditional klingon outfit. 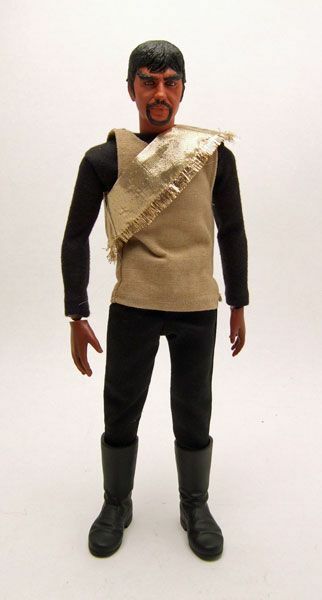 The uniform is all kit-bashed and hand sewn parts- I'm sure that had he been produced it would have looked a little nicer. You are right, that face sculpt is awesome. They really captured him! Kirk hardly ever fared as well. Your photography is, as always, terrific, and thanks for posting these ultra-rarities that we might never have seen otherwise. How do you get this stuff? Real collectables there. Sorry, couldn't resist. 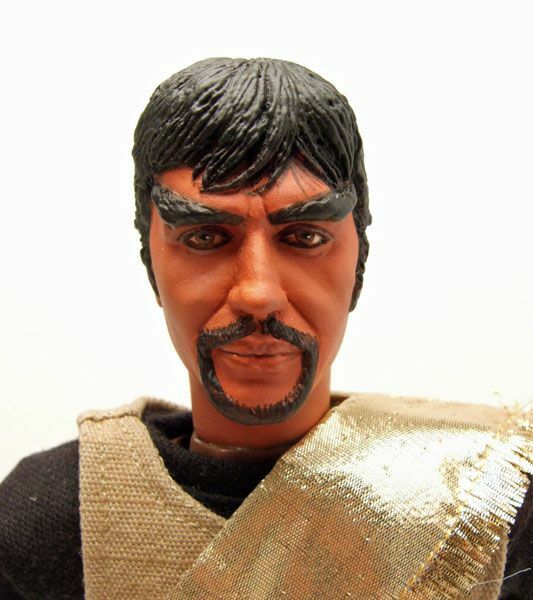 Michael Ansara's always been a fave of mine, and that is an AMAZING likeness on this action figure. 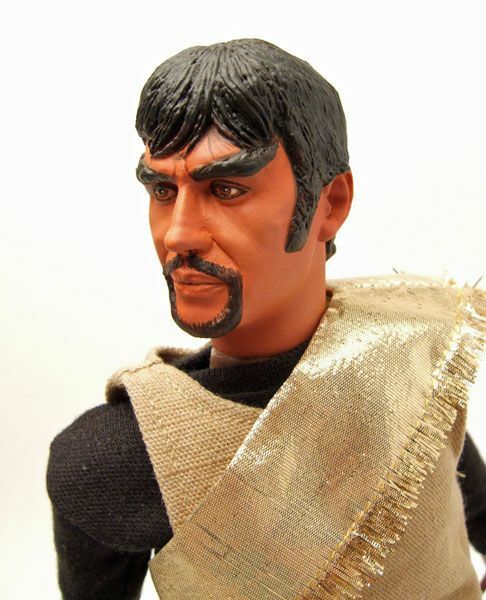 Remco Spotlight- Azrak Hamway Goodies! Want To Own A REAL Tribble? Woo Hoo! New Blog Address! 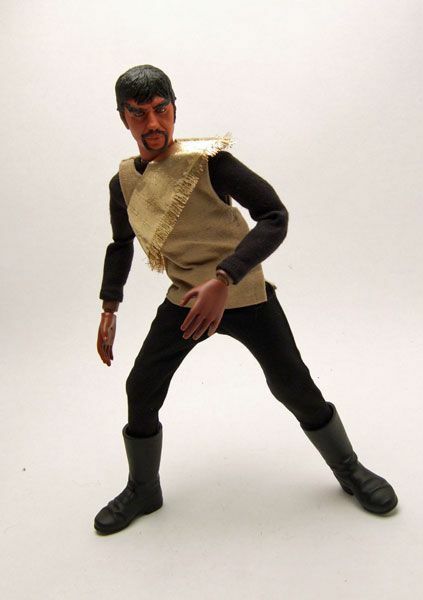 AA/ DST Spotlight- Unproduced Kirk Variant!